Former Gov. Rick Perry, who had called Donald Trump a "cancer on conservatism," is now endorsing the presumptive Republican presidential nominee. Perry, a former candidate who had backed U.S. Sen. Ted Cruz of Texas until he dropped out Tuesday, gave Trump his endorsement in an interview Thursday with CNN. "He is not a perfect man," Perry told the network. "But what I do believe is that he loves this country and he will surround himself with capable, experienced people and he will listen to them." Perry also said he would consider serving as Trump's running mate. "I am not going to say no," he told CNN. Perry's endorsement of Trump came two days after Cruz left the race following a devastating loss to the billionaire in the Indiana primary. Cruz's departure — and that of Ohio Gov. John Kasich a day later — made Trump the presumptive nominee. Endorsing Trump is a remarkable turnaround for Perry. The former governor was the first member of the GOP field to attack Trump, delivering a speech in July that labeled Trump anathema to the GOP. "He offers a barking carnival act that can be best described as Trumpism: a toxic mix of demagoguery, mean-spiritedness and nonsense that will lead the Republican Party to perdition if pursued," Perry said at the time. After dropping out of the race in September, Perry went on to endorse Cruz ahead of the first-in-the-nation Iowa caucuses. Perry campaigned for Cruz in multiple states, defended him on television and headed up a super PAC that organized veterans for Cruz. All along, Perry maintained he would support the eventual nominee. But on Thursday, the former governor seemed to go beyond simply falling in line behind Trump. 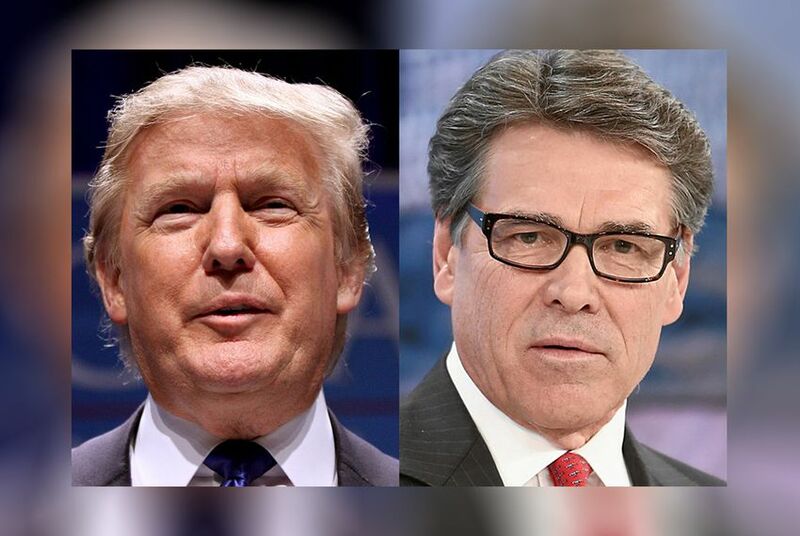 Trump, Perry told CNN, "is one of the most talented people who has ever run for the president I have ever seen."